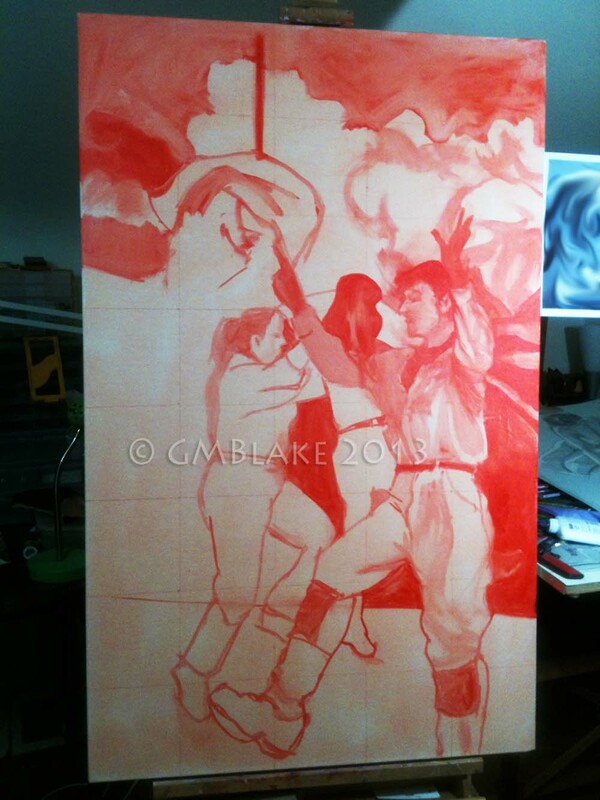 Can’t wait to get back to this underpainting for the next in my Unlikely Dance series — and to the painting for Window on the Arts, but I’ll show progressives on that only when it’s finished. For more on what’s going on, please see my painting process. Must get back to painting, now! To follow my progress in Unlikely Dance, just click on the “Unlikely Dance” link under TOPICS, on the left of any page in this blog.